In Richard Gwyn’s second volume on Sir John A. Macdonald he shows how this charming and wily politician gave Canada our country. Opening with Confederation in l867, when Nova Scotia and New Brunswick joined Quebec and Ontario, he describes Macdonald’s National Policy which stood for government intervention in times of public need. Macdonald believed that in such a fragmented country, Canadians had to look out for each other or they would have no nation at all. With thorough research and a good journalist’s sense of style, Gwyn tells the story of struggle with the Red River Colony amidst constant pressure from Minnesota annexationists to take this part of Canada; Louis Riel’s two rebellions and controversial death; the battle to build the Canadian Pacific Railway, linking the continent, and the Pacific Scandal that almost sunk the whole project, as well as Macdonald’s government. Macdonald survived all this even though his home life was not easy (his first wife had died after years of illness and the loss of one son) and his second wife, though devoted, had the handicap of caring for a disabled daughter. Macdonald had an easy, disarming way of approaching people and they voted him back into office against heavy odds. 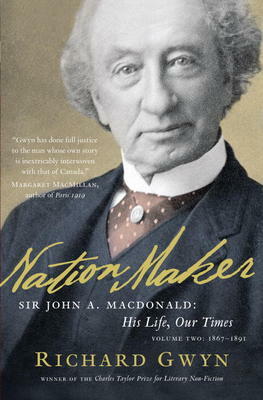 The book includes many of the talented politicians and others who worked with Macdonald up to the young Laurier, who would be another lion in the leadership of Canada. There are excellent photographs backing the story. Gwyn in fact has done just what he did in the first volume, John A.: The Man Who Made Us. Published in 2007, that book became a bestseller and won the Charles Taylor Prize for Literary Non-Fiction. This one is every bit as good. 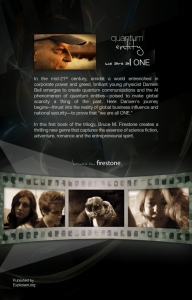 “Quantum Entity” by Bruce M. Firestone Now Available!!! Bruce M. Firestone’s new book, the first in a trilogy, is now available for purchase at our store! Published by Exploriem.org, “Quantum Entity” is a paperback that retails for $19.95. 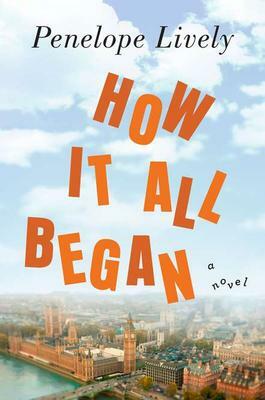 The widely-recognized British writer Penelope Lively has done it again in “How it all Began” – a subtle novel full of characters you get to know and believe in from the moment they are introduced. The only violence comes in the first pages and of course sets the story. Friends as well as strangers rally to help the victim recuperate. We meet an aged Academic, retired, Lord Henry Peters, eager to get on TV or radio or even print with what he considers his invaluable Memoirs. There is the Grannie who helps the attractive East European immigrant with his English, only to have him fall in love with her married daughter. In the interior design business one clever operator meets another, only to have her savings nearly wiped out. Lively shows the coincidences in life that pull people together – or apart. She is believable and delightful to read, with nineteen novels to her credit, including the most famous “Moon Tiger”, as well as three books of autobiography. She is a Fellow of the Royal Society of Literature, a member of PEN and the Society of Authors and a recipient of the OBE and CBE. 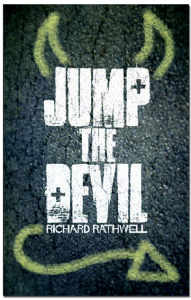 Ottawa born author Richard Rathwell will be signing copies of his new book “Jump the Devil” in our store on Sunday, June 3 from 3:00pm to 5:00pm. 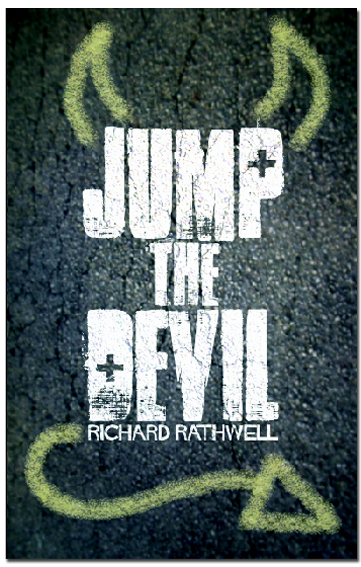 With Jump the Devil, Richard Rathwell has masterfully interwoven the plots of five seemingly unrelated storylines to create one coherent narrative that spans the globe and works to blend the seemingly mundane with the profound, deftly providing readers the necessary clues to unlocking the story. Transcending borders, cultures, generations, and social mores, Jump the Devil brings to life the notion of the global village as it exists in the 21st Century. A man in a crawlspace. A woman and her cart. A doctor in an African village. A girl celebrating New Yearâ€™s. And an Egyptian Revolutionary in front of a computer screen. These five, seemingly unrelated narratives span the globe, blurring the boundaries between the trivially mundane and the profound. Jump the Devil brings its readers on a cross-cultural voyage which inextricably links the lives of the narrators, asking the reader to decipher the clues tucked away in the pages with a deft subtlety. We look forward to seeing you all here for this exciting book signing event! Come meet the author, buy a book, and get it signed!